Be our guest and enjoy the awesome beauty that Northwest Montana has to offer. 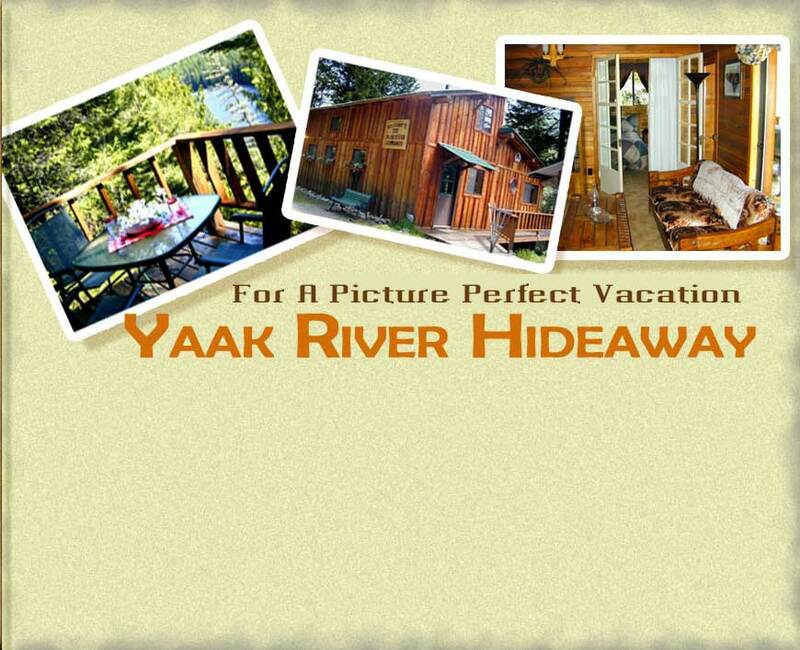 "The Yaak River Hideaway” is a Montana rental cabin located in the heart of the Yaak Valley just North of Libby, Montana. Whether it's fishing, swimming, hiking or just relaxing, you'll find everything you need for a wonderful experience with family and friends, or for that romantic getaway. Enjoy your stay in our comfortable and cozy, fully furnished log cabin. From the Yaak River Hideaway you have private access to the Yaak River's great montana fishing and hundreds of outdoor adventures. Located less than 2 miles from our Montana vacation cabin are the popular and scenic Yaak Falls. Also nearby are the majestic Ross Creek Cedars, the Swinging Bridge and the awesome Kootenai Falls, filming location for the movie "The River Wild". Don't miss out on the ultimate in beauty and seclusion. Make your reservation today! Click on links for a pictorial tour of the cabin, grounds and the beautiful surrounding Yaak area. We also offer Montana wedding and honeymoon specials. Contact us by phone or email us for further information. Thank you for visiting!